The Eagle Ford Shale rig count fell by 13 this week ending at 137 rigs running across our coverage by midday Thursday. In recent Eagle Ford news, Mexico plans to move forward on pipeline initiatives that will impact the Eagle Ford in Texas despite low crude prices. The state power company (CFE) has initiated an aggressive construction campaign that includes $3.3 billion to be spent on 12 natural gas and electricity projects. The U.S. rig count fell another 40 to 988 rigs running as of today. A total of 225 rigs were targeting natural gas (an increase of three from the previous week) and 760 were targeting oil in the U.S. (52 less than the previous week). The remainder were drilling service wells (e.g. disposal wells, injection wells, etc. 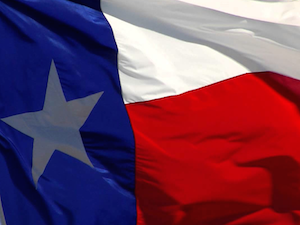 )427 of the rigs active in the U.S. were running in Texas. Natural gas rigs increased by three and totaled 16 rigs by midday Friday with Natural gas prices decreased $.20 from the previous week landing at at $2.51/mmbtu by week’s end. . The oil rig count fell to 137 rigs last week. WTI oil prices increased $2.50 from the previous week, trading at $51.64/bbl on Friday afternoon.. A total of 134 rigs are drilling horizontal wells, zero rigs are drilling directional wells, and vertical rigs are at three. Karnes (20), DeWitt (19), and Webb (17)and LaSalle (17), have the highest rig counts this week. See the full list below in the Eagle Ford Shale Drilling by County below.